Views of the UK modern rail scene taken during 2008. Photos are listed in loco/unit number. 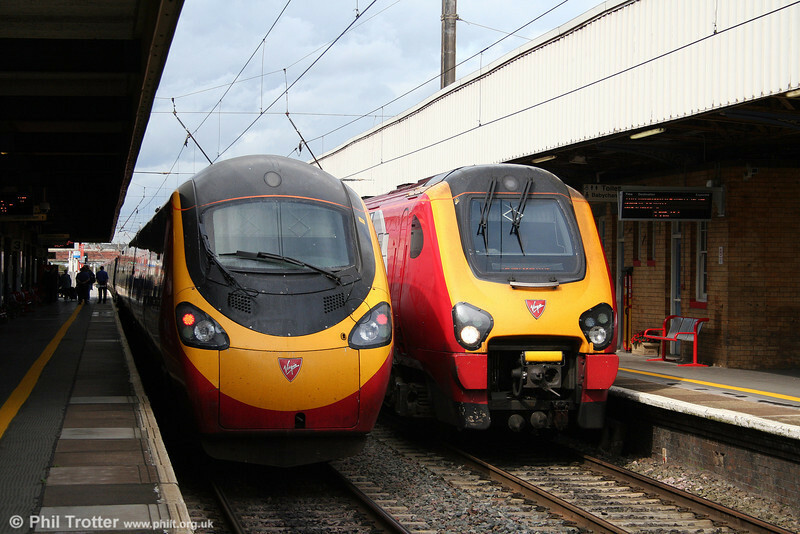 A comparison of Pendolino and Voyager front ends! 390038 'City of London' working the 1246 London Euston to Lancaster meets 221143 'Auguste Picard' on the 1152 Edinburgh to Birmingham New Street at Warrington on 2nd September 2008.